OWNER MOTIVATED - SEND OFFERS - 4048 Sq ft freestanding building that used to be a bar/club. Now a shell building ready to convert the property to a church, restaurant, retail space or medical office the choice is yours! 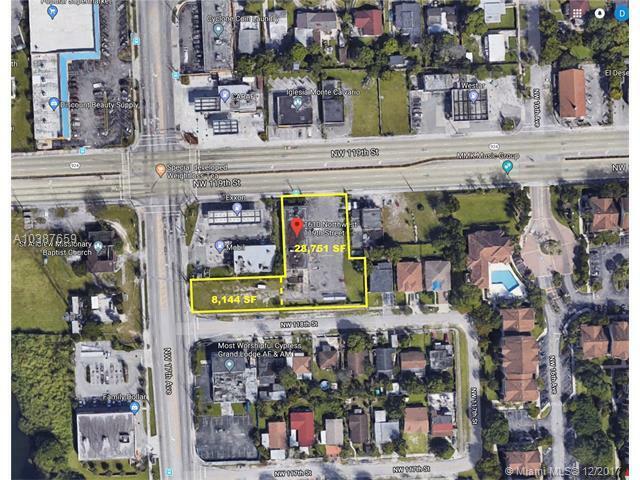 Large 36,895 (28,751 SF + 8,144 SF) square foot land assemblage that has over 40 parking spaces with access to 50 additional spaces and includes vacant lot adjacent to it with egress/ingress on 17th ave. 119th st has AADT (annual average daily traffic) count of 41,000 cars. 17th Ave has 15,300 cars per day. Do not miss this opportunity! Listing courtesy of Cespedes Realty Llc.